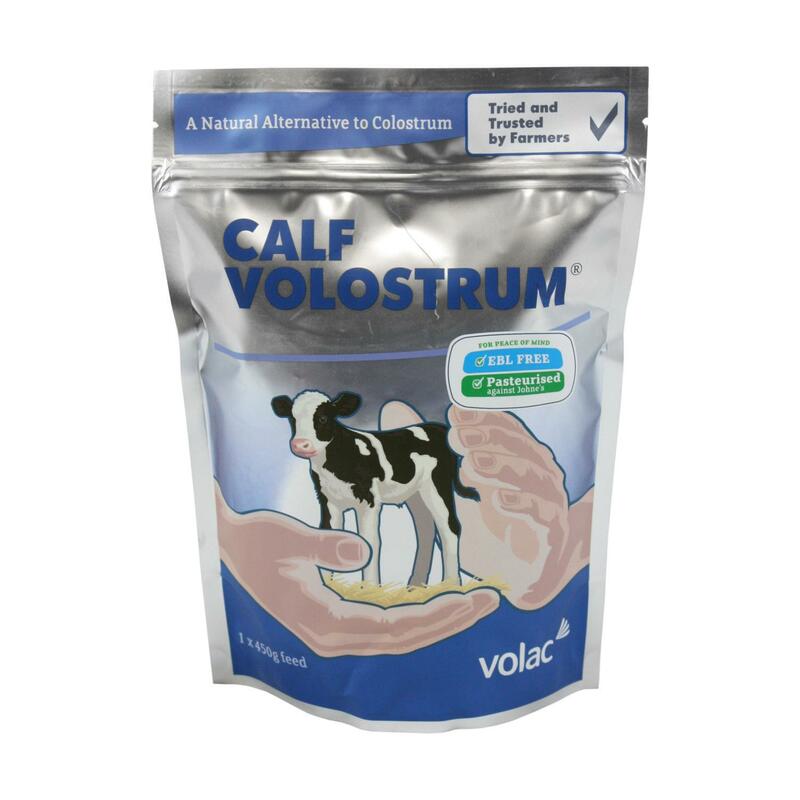 Volac Volostrum for Calves serves as a natural alternative to colostrum to be fed whenever maternal colostrum is unavailable or in short supply. A highly digestible source of energy. Consistent quantity and quality guaranteed. Hygienic, easy to use individual pack. A vital stand-by for any dairy unit, and beef suckler herds keeper. This calf volostrum comes in a bag containing 450g of feed. Volac are a popular brand of agricultural products and supplementation with farmers and other animal care professionals throughout Ireland, the UK and worldwide.